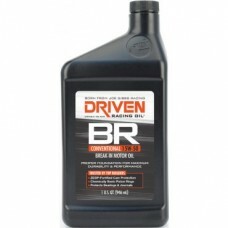 Developed by Joe Gibbs as a result of the changes in modern motor oils, this is a unique blend of petroleum base stocks and additives that is ideal for preparing metal surfaces in new and rebuilt engines. The high zinc content ensures proper separation of all critical mating surfaces, giving camshafts and valvetrain components a protective layer of hydrodynamic film during the crucial break-in process. 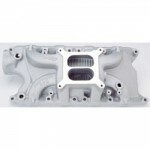 The first start up of any engine is critical to its performance; this formula provides the correct amount of cleaning agents vital to newly machined parts. Run for a minimum of one hour or up to 500 miles. 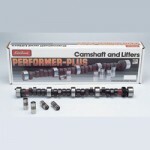 We consider this essential for the running in of new flat tappet camshaft engines. Sold in 1 US Quart bottle.